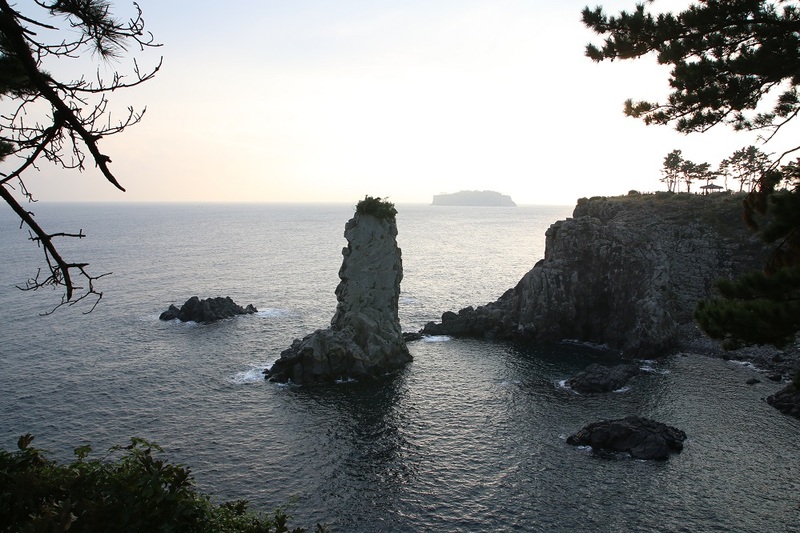 Interested in seeing Jeju on your own time? Not a fan of big buses and group tours? 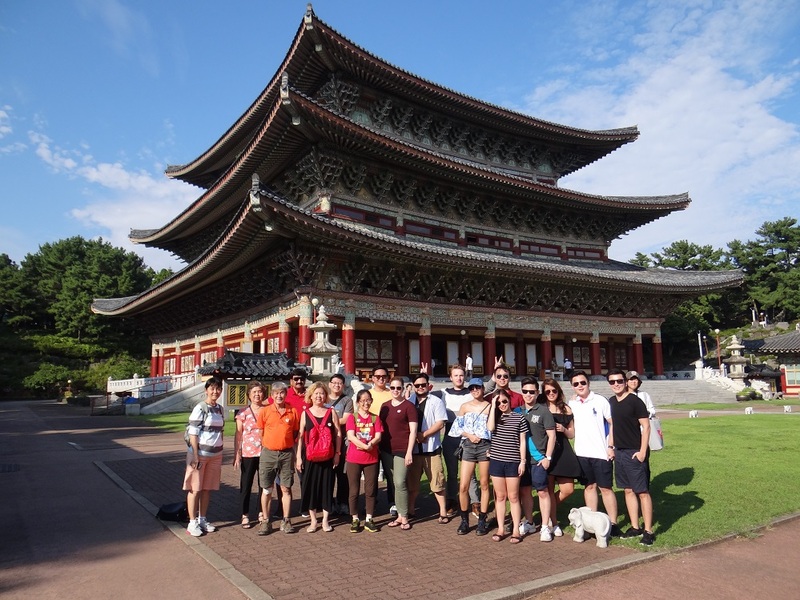 Or if you’re a group of 4~9 people looking for an affordable way to travel, our one-day private van tour + Tour Guide is perfect for you! Pick your own tour, set your own pace, do it absolutely your way. 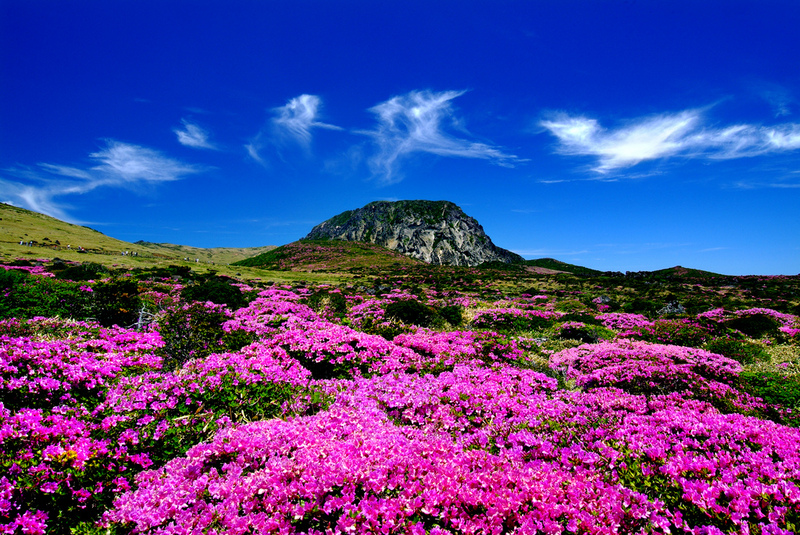 Start by picking between our recommended Jeju West or East Tour and tell us if you want to make any place changes! 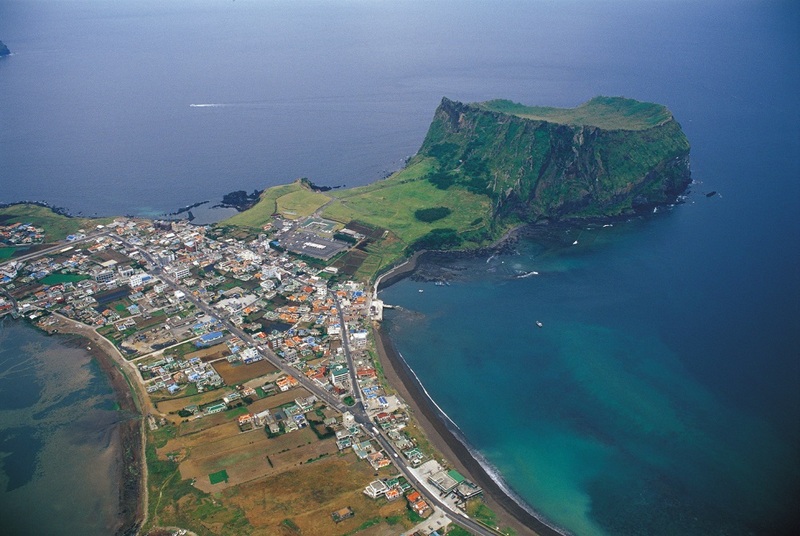 Interested in learning every detail about Jeju? We include A full service, licensed, English speaking tour guide (Chinese also available) to answer every question and tell you every detail about the island, its people, and its history! Your private van tour is for nine hours and can be spent however you wish – you set the pickup, tour stops, and drop off! 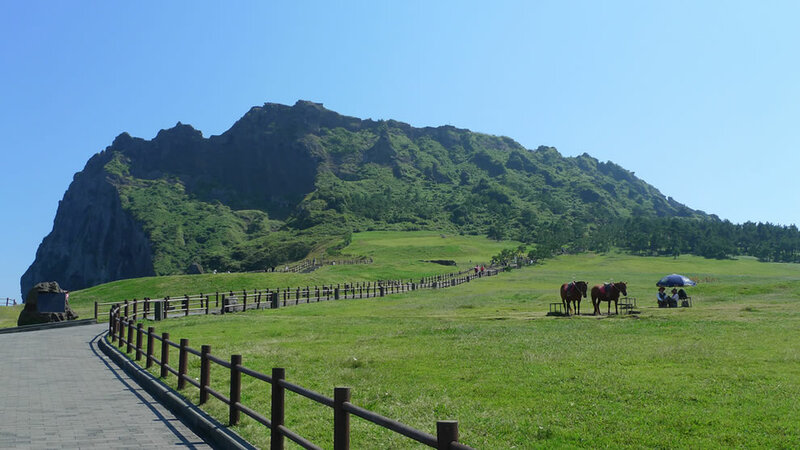 Hire your own DOOR-TO DOOR private car/van and enjoy the freedom of having your own transportation for a day to experience Jeju Island! 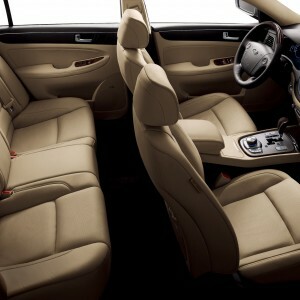 The best private car service in Korea! You can travel freely at your own wish: there are no limits on the stop you go. 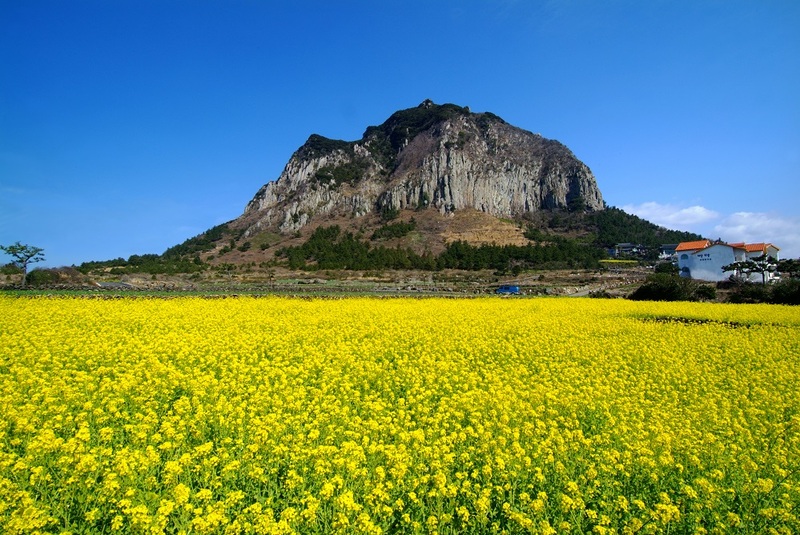 Choose between East Jeju Island Tour and West Jeju Island Tour You also have the option to extend your day, just adding a reasonable flexible hourly surcharge. 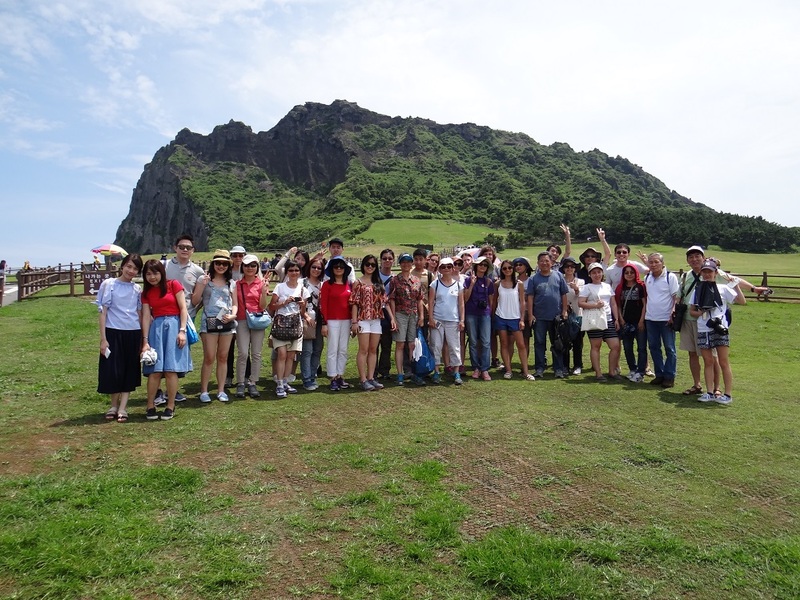 Tour Guide will help you with meal choices, inform you of interesting facts and history of Jeju island and make sure you have a great time! Travel free and easy: Flexible destinations and 2 different car sizes to choose from. 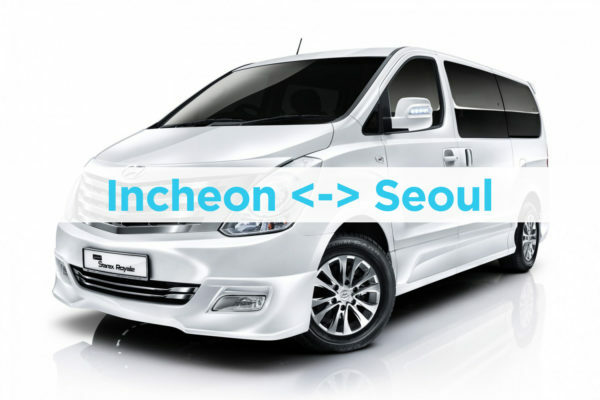 – For a Private car in Seoul city only GO HERE. 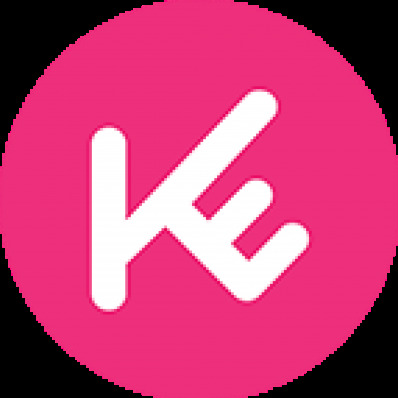 – For Private airport transfer GO HERE. Let our certified tour guide handle everything on your trip from trip itinerary to meal selection 🙂 Just enjoy your day with your family and friends! 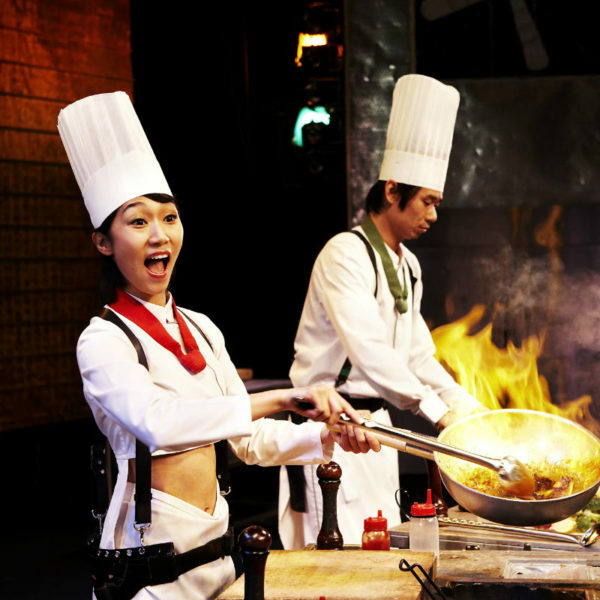 Want a Chinese Speaking Tour Guide? It can be arranged when available, please request it in the Special Request box. To follow Korean laws, the maximum number refers to adults or children regardless of size. For safety, passengers cannot share seat belts and must have their own. For those who choose to get picked up from the airport and have luggage please inform us because it might not fit in the car. If you are 4 people you can upgrade to the Limo van or if you are planning to check in to a hotel we can arrange one more vehicle to drop off your luggage at your hotel, but you will be responsible to pay the transportation fee. Freedom of choice, tour route, and destination! If you choose to get picked up from Seogwipo City this price will be added due to longer distance. Admission for Attractions, Museums, Etc. Personal Expenses for Food, Alcohol, Drinks, Water, Snacks, Etc. 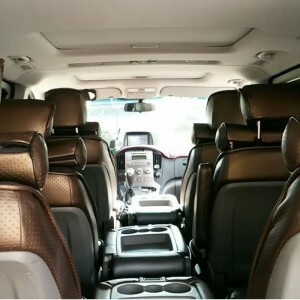 With a private van, you can set the tour that you want! 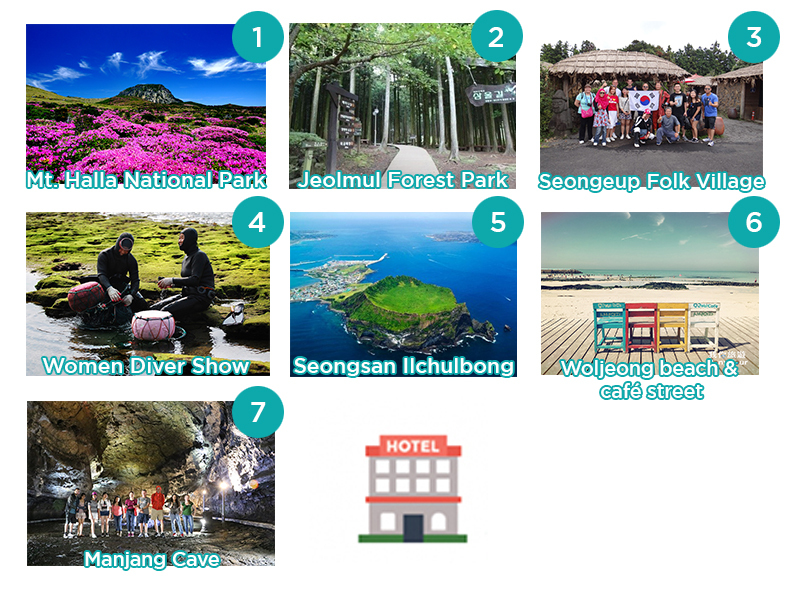 Below are the most frequently requested places and our recommended West and East itinerary. However you can customize your own tour too, Please inform us at time of booking of the places you wish to go in the Special request box. The tour guide speaks English fluently, is available to go anywhere you ask, and can answer any questions you have! If you want a Chinese Tour Guide it can be arranged when available, please request it in the Special request box If you would like to use our itinerary, just pick East or West in the form. A one-day rental lasts for nine hours from pick up to drop off. Drop off will occur nine hours from that pick up at your requested location. 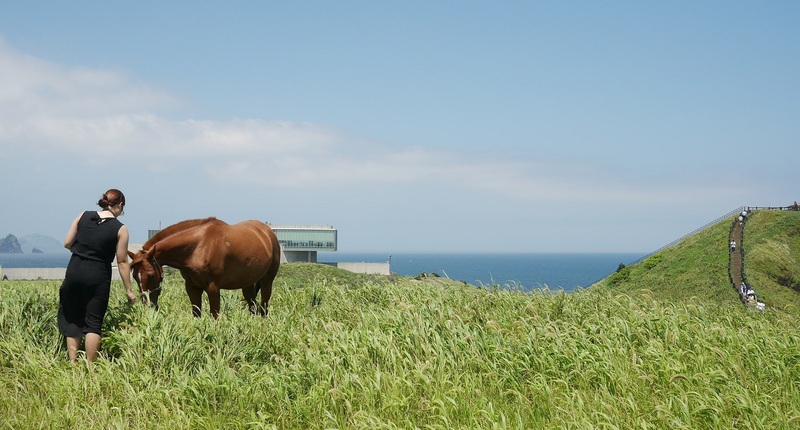 A Jeju favorite for its gravity and physics-defying tricks. Experience a unique sensation and direction on the Mysterious Road! 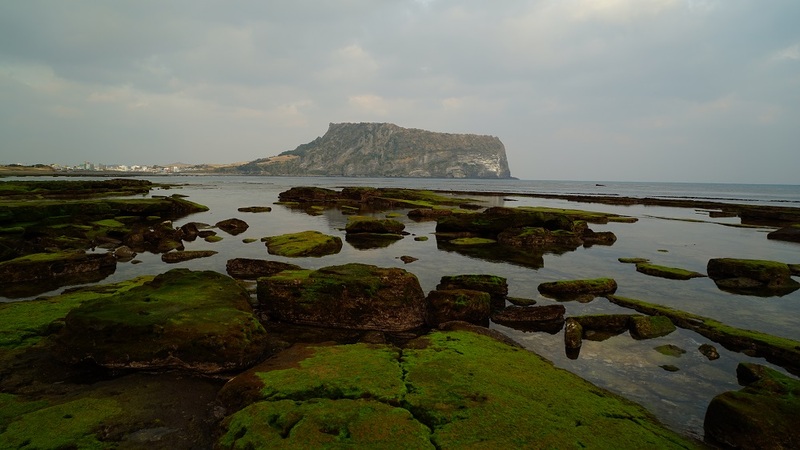 Another of Jeju's top three tourist sites, take some time at these breathtaking cliffs formed by lava that rushed from Hallasan into the sea long, long ago. Enjoy anything you wish! 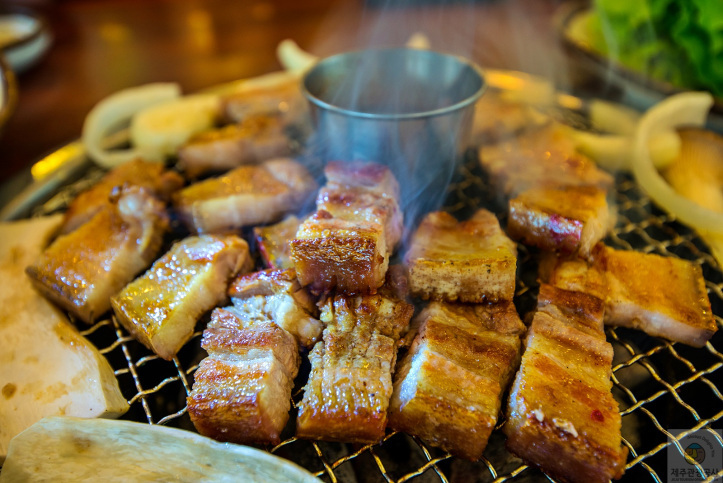 With a local guide, he knows exactly what to eat that's popular and delicious. 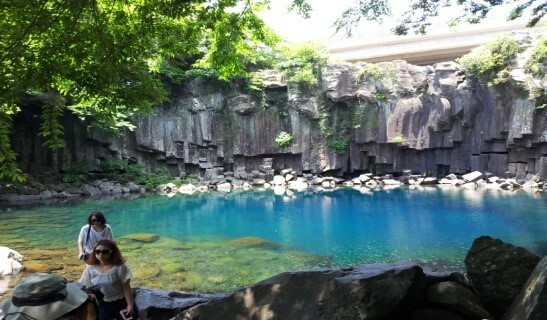 Cheonjiyeon Waterfall is one of the main Jeju attractions! Chenjiyeon is around 22m tall and means "where water meets the sky." Literally meaning "a cave inside a mountain," enjoy stunning ocean views and visit the cave, as well as a temple and more sites nearby. 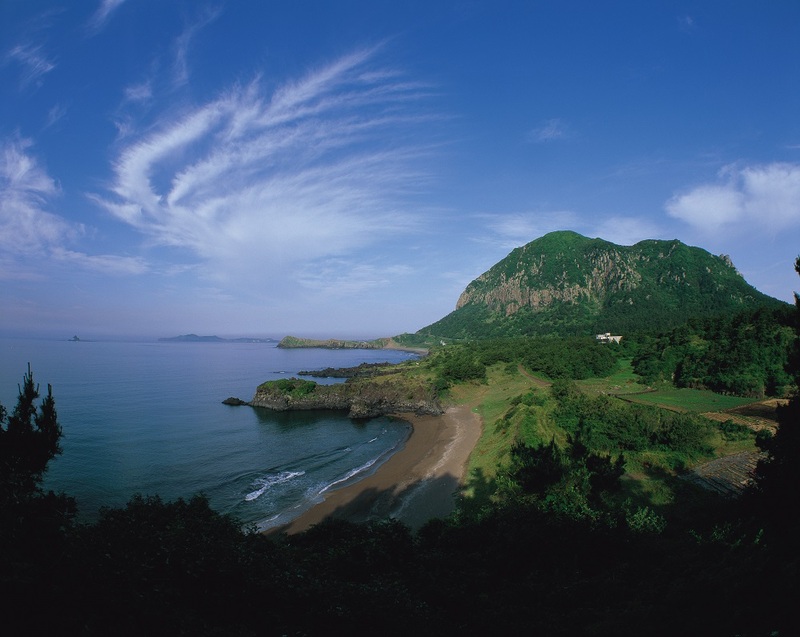 As one of Jeju’s Olle Trekking Route, Songaksan boasts breathtaking scenic views along the coastline. 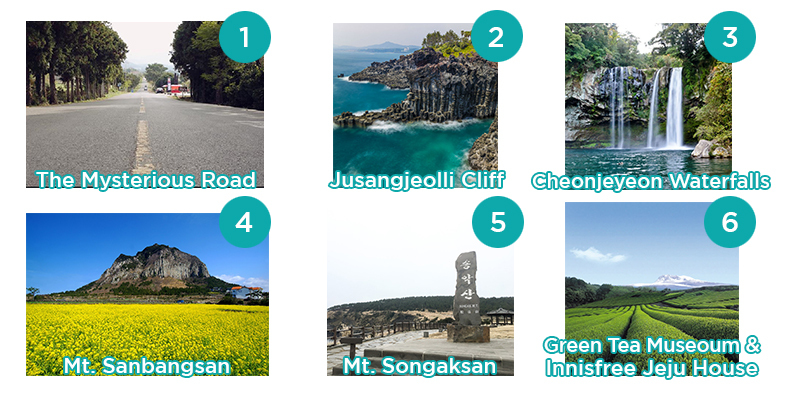 The view from the peak of Songaksan is truly enjoyable as you can see nearby islands such as Mapado, Gapado, and Hyeongjeseom, and Yongmeori coast and Sanbangsan. 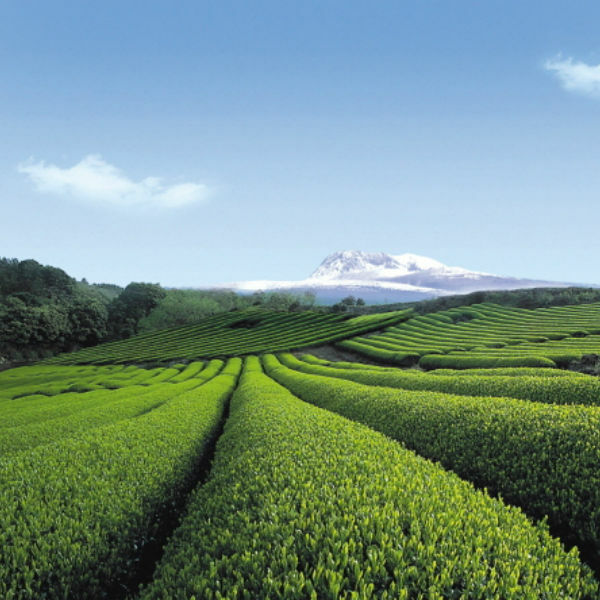 Visit the home of Korea and Jeju's most famous green tea brand, O'Sulloc. 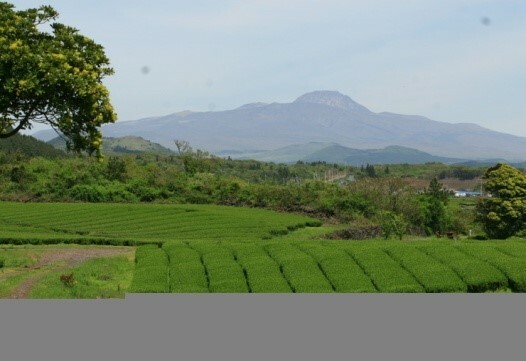 Also on site are the tea plantation and tea museum. Hallasan (Mt. 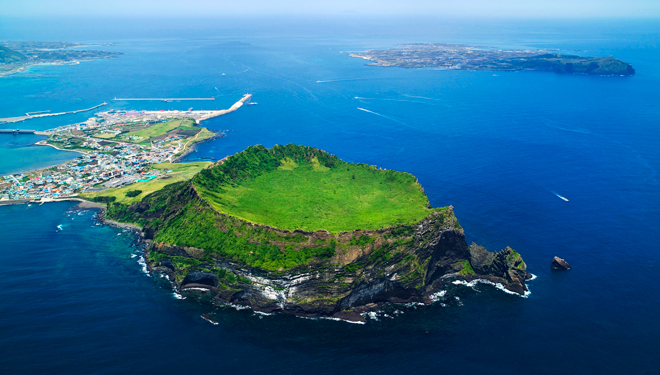 Halla) is the grand centerpiece of Jeju! 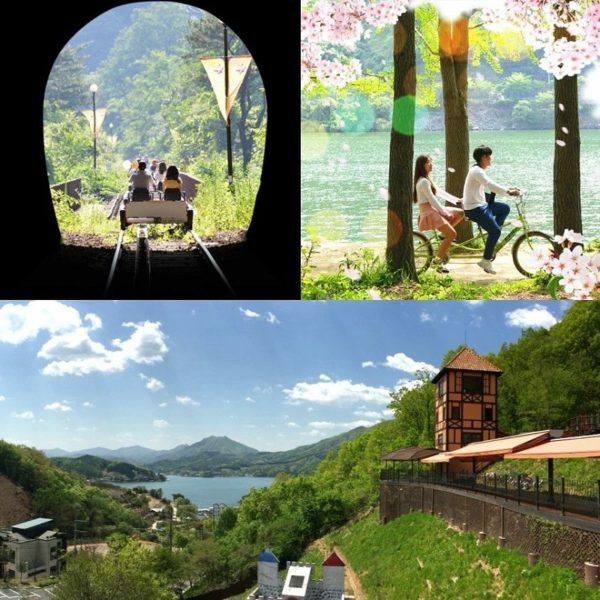 You will be able to see it while riding the car and stop to take pictures and enjoy the scenery. 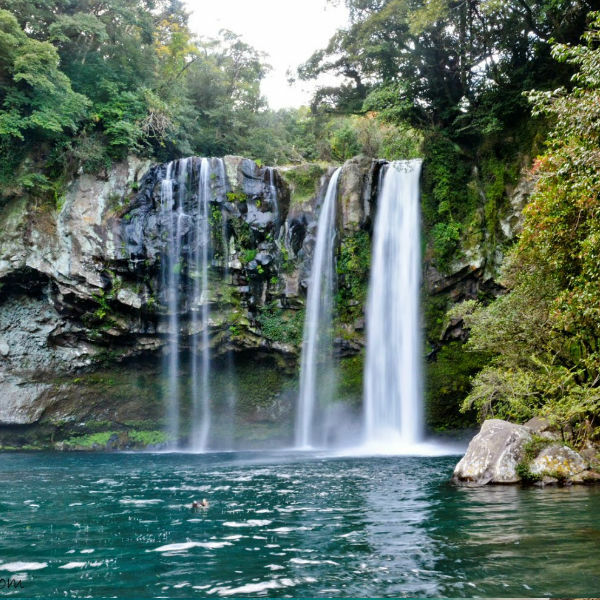 At Jeolmul Forest Park you will be able to enjoy your leisurely walking and rest in the fresh air and peaceful forest with a wonderful view! ※ Not available on the terribly snowy day. 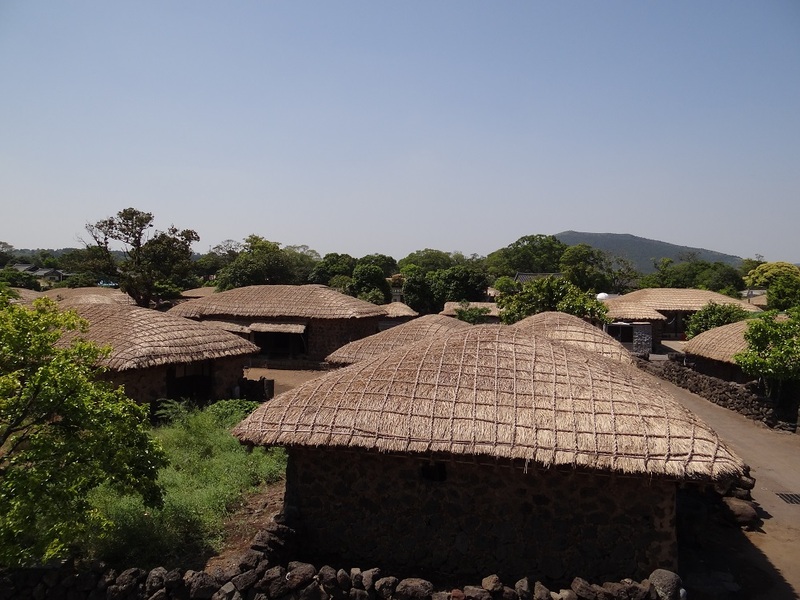 Visit a traditional Jeju folk village at the base of Halla Mountain. 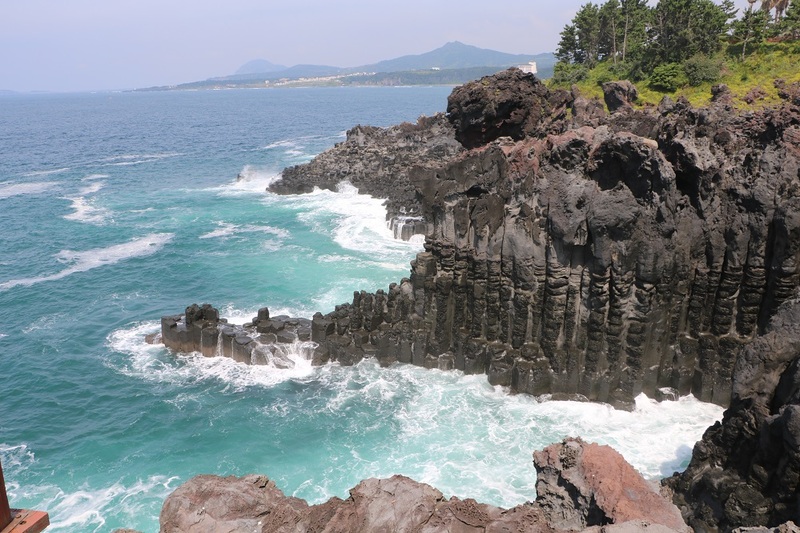 Different from the Folk Villages of Seoul and Mainland Korea, you can experience traditional Jeju materials like black lava rock. Go anywhere you choose or be adventurous and take the guide's recommendation! 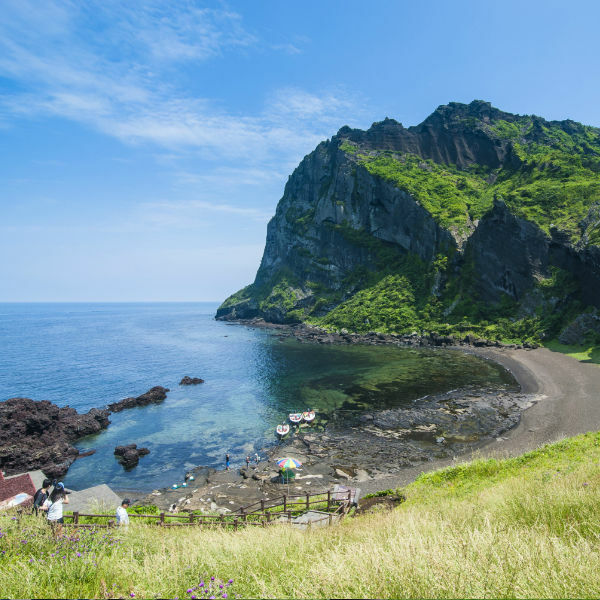 Sunrise Peak is perhaps the most famous of all tourist attractions in Jeju, take some time to climb to the top and enjoy the beautiful views! 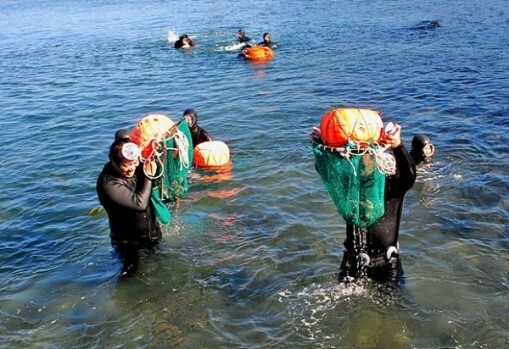 At the same place, you can also experience the lives of the Haenyeo, the female divers of Jeju, who are a central part of the Jeju economy and family support. ※ The Woman Diver Show can be canceled due to bad weather conditions. Woljeongri Beach is known for its scenery, white sand, and beautiful emerald ocean. Enjoy cozy and beautiful cafes along the streets near the beach. Manjanggul Cave is one of the finest lava tunnels in the world! 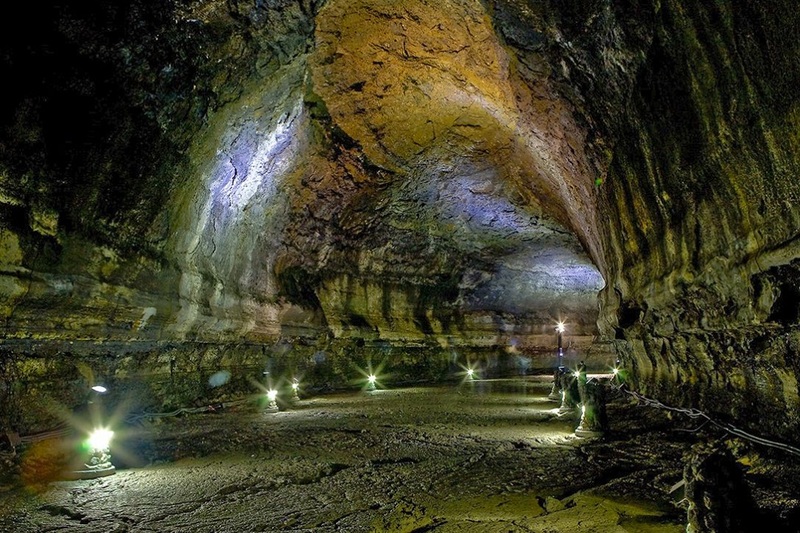 Only 1km of the 13,422m Manjanggul Cave is open to tourists. The inside of the tunnel sustains a temperature of 11~21℃, creating a cool and comfortable atmosphere. Please confirm your pick up and drop off locations after booking confirmation. Tour time is 9 hours from pick up to drop off. It is up to the guests to set their time at each stop and plan for traffic delays. We are not responsible for time lost due to traffic or accidents. The tour includes fuel, road tolls, wages and lunch for the driving tour guide. 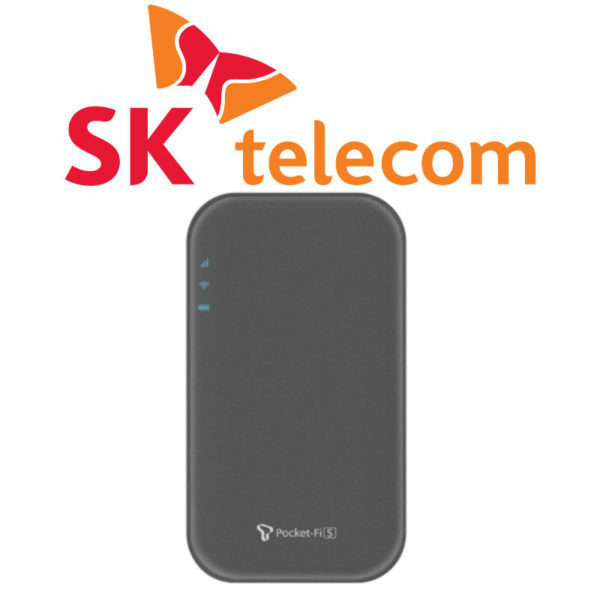 Personal expenses (guests' lunch, snacks, drinks) are not included. 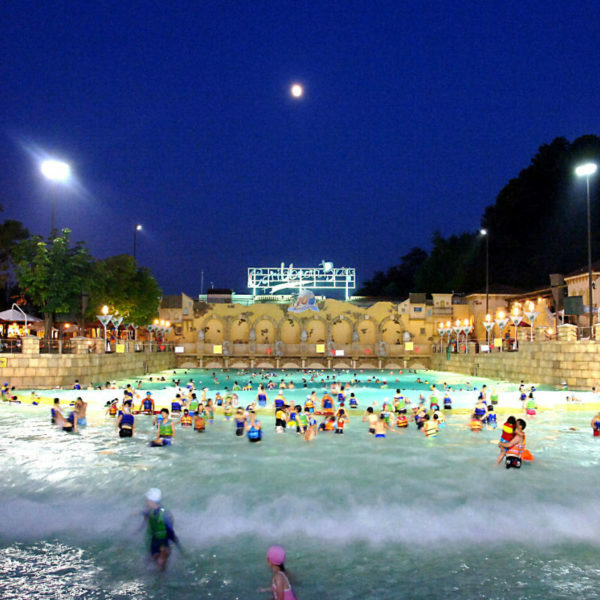 Admission fees at tourist attractions, museums, etc. are not included. Please be on time for departure. We are not responsible for any delays or lost time. The itinerary can be changed on the day of tour if the weather is uncooperative or there are alternate plans. Please plan ahead for these changes as, again, we are not responsible for delays due to traffic or island travel times. Make sure to double check with us if your luggage will fit in the car (small handbags and items are fine). This private van tour includes a fully licensed, English speaking tour guide. Chinese speaking Tour Guide can be arranged when available, please request it in the Special Requests box. Thank you for your score! Hope you enjoyed your travel with us. Look forward to see you next time! When we arrived in Jeju at 2.00pm on 22.08.2014, Typhoon started at 6pm and hence all our itinerary cannot be fulfilled. But, we still go on private van with the tour guide, Ms Kim. She is very good and helpful. She brought us to the local korean food not only delicious and also at a reasonable price. Send our regards and thank you notes to her.